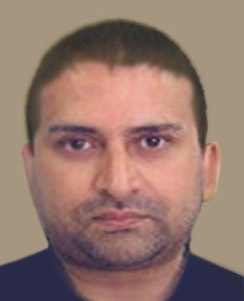 Imran Hussain, is a popular figure on the list of top Value Added Tax (VAT) fraudsters. He is only 34 years old with a verdict of GBP 300 million against him. These days he is living in Pakistan with desperate attempts to return to his home town of Glasgow. Before he moved to Pakistan, he was living the High Life in Dubai with a fleet of expensive cars, a yacht and a private jet for his clandestine visits to Europe. Our sources revealed that Imran Hussain has contacted HMRC seeking a bargain on the 20 year sentence that he may have to face eventually. He had been running from place to place to avoid the arrest. His offers apparently is to part ways with most part of his illegally acquired Tax Payer’s money and live his life in his native town of Newton, Glasgow. Apparently, he was also involved in Carousel Fraud which involves hundreds of fake companies being operated all over Europe and claimed VAT against high priced goods. Interestingly, low valued goods were traded against a declaration of high priced items like iPhones, iPads or other mobile devices. It was detected through one random inspection by customs and from thereon he had been on the run.